The principle of karma is based on cause and effect. If you do something positive, you’ll get something positive in return. Born from this belief is Karma Wellness Water, the line of natural, nutrient-enhanced water introduced nationwide today that has been formulated to deliver health benefits to your mind, body, spirit, balance and vitality. The driving force behind Karma is the fact that water-soluble vitamins lose their potency while sitting in water or when they are exposed to moisture. Additionally, those vitamins suffer degradation when they are subjected to UV rays, oxygen or heat. The loss of strength is greater when the vitamin contents are spread across the full contents of bottled beverages, causing premixed vitamin drinks to lose their potency over time. The supplemental information printed on most premixed vitamin drinks is based on the ingredients at the time of bottling, not at the time of consumption, according to a news release. Karma uses its proprietary KarmaCap Technology to keep vitamins and other essential ingredients protected and separate from water until it’s time to drink. By introducing the vitamins only seconds or minutes from actual consumption, it optimizes the effectiveness of the nutrient-rich ingredients in Karma. 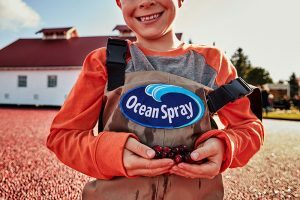 The cap uses opaque plastic and a UV blocker to limit the vitamins’ exposure to the elements; and this breakthrough packaging also has a hermetic (airtight) seal between the cap and base, ensuring freshness and delivering maximum vitamin potency. Plus, it’s easy to use—with just a push of a button. Karma Culture is working with three of the country’s top nutrition and fitness experts as advisors—Dr. Jeffrey B. Blumberg, Dr. Melina B. Jampolis, and Dr. Michael D. Maloney. Blumberg is a professor in the Friedman School of Nutrition Science and Policy and the director of the Antioxidants Research Laboratory at Tufts University. Jampolis is an internist and board certified physician nutrition specialist and currently serves as the diet and fitness expert for CNNHealth.com. Maloney is a board certified orthopaedic surgeon, and director of the Orthopaedics’ University Sports Medicine and professor of Orthopaedics at the University of Rochester Medical Center. Each functional variety of Karma has been designed with a mix of seven essential vitamins, superfruits, antioxidants, herbal extracts, amino acids, minerals and electrolytes to deliver tangible benefits to a consumer’s health and wellness. This combination of fresh and natural ingredients provides up to six times more nutrients for people than they would receive from competing brands. • “Mind” for sharper thinking (orange mango)—specially formulated for mental alertness, providing yerba mate, choline and coenzyme Q10. Choline and yerba mate support clarity and stimulate focus, while coenzyme Q10 is an antioxidant that helps fuel the body’s daily activity. • “Body” for fitness acceleration (raspberry guava jackfruit)—offers sodium and potassium, as well as chondroitin sulfate, calcium and vitamin D. This mix works to replenish essential electrolytes, combat the risk of osteoarthritis and maintain healthy bones. • “Spirit” for mood elevation (passionfruit green tea)—contains ginseng and L-theanine. These ingredients and others help recover from stress and encourage relaxation. • “Balance” for an immunity boost (acai pomberry)—provides 1,000mg of vitamin C, as well as zinc, berry extracts and tea polyphenols. This is 1,667 percent of your daily dose of vitamin C, which can help prevent cold and flu symptoms. • “Vitality” for healthy hydration (pineapple coconut)—includes trans-resveratrol, magnesium and potassium, which have biological, physiological and anti-aging effects that impact vitality, along with other natural ingredients that increase alertness and replenish energy. Karma Wellness Water begins in the form of pristine spring water, while many competing brands use filtered municipal water. Karma is naturally sweetened with a blend of stevia and pure cane sugar. Each 18-oz. bottle contains 20 calories and is free of preservatives, gluten and lactose. 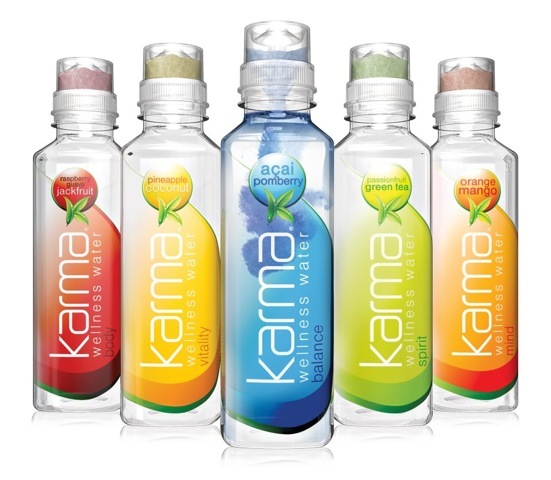 Karma Wellness Water is available for purchase online at drinkkarma.com and amazon.com. In addition, it is currently available in select grocery, convenience and drug store chains, including Wegmans Food Markets, Tops Friendly Markets and CVS Pharmacy, for a suggested retail price of $2.39 to $2.89.